This was my 3rd day in a row finding some paper to chew on. 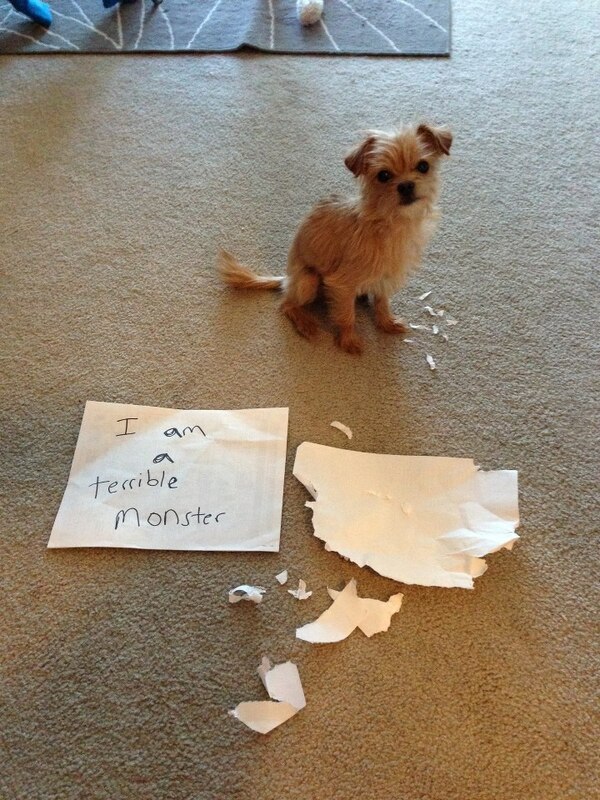 You know your doggie is little when the sheet of paper is bigger then he is. What a CUTIE! Put him to work start your own paper shredding business! I had to start picking all the paper up in my house because my Great Dane would shred any within his reach (which is a pretty big reach) when we left him alone. A 200 page magazine would look like a confetti bomb went off when he got done. He TOTALLY looks like Mr. David Bowie! !